"Ragtime, Blues and All that Jazz"
“The Romantic Concert: Bella Italia!" Tickets are $16 for the morning concert in the Porter Hills Coffee Classics series. Tickets start at $26 adults, $5 students for the evening PwC Great Eras series. Astor Piazzolla, who is to the tango what John Philip Sousa is to the march, grew up in Argentina, playing tangos on the bandoneon, an instrument related to the accordion. Determined to become a serious composer of classical music, Piazzolla spent a decade writing symphonies, piano concertos and chamber music. After winning a composers’ competition, he was given the opportunity to study with the famed French pedagogue Nadia Boulanger, mentor to composers such as Aaron Copland and Philip Glass. When Piazzolla presented his work for the first time to Boulanger, she stopped him in his tracks. “All of a sudden she says, ‘Why don't you play a piece of the music you write in tango? I'm very much interested,’” Piazzolla recalled in an interview with the Washington Post in 1988. 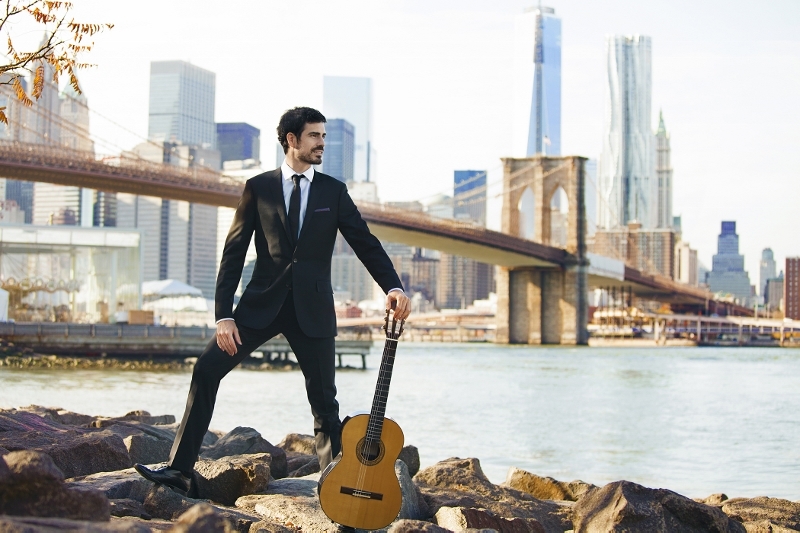 The concert of spicy Spanish and lush Latinx music from both sides of the Atlantic Ocean also welcomes Spanish guitarist Pablo Sáinz Villegas back to Grand Rapids to play the world’s most popular concerto for guitar and orchestra, Joaquin Rodrigo’s Concierto de Aranjuez. 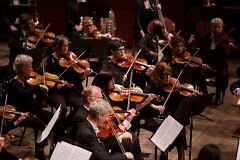 Music Director Marcelo Lehninger leads the Grand Rapids Symphony in music by Spanish composer Manuel de Falla Suite No. 1 from The Three-Cornered Hat, and Three Latin American Dances, a contemporary work written by Gabriela Lena Frank, a Grammy Award-winning American composer of Peruvian descent. The Brazilian-born conductor also will lead the orchestra in Argentinian composer Alberto Ginastera’s Four Dances from Estancia. If there’s one musical instrument that defines Spanish music, it’s the guitar, and if there’s one piece for guitar and orchestra that towers above all others, Rodrigo’s Concierto de Aranjuez, a piece inspired by the gardens at the Royal Palace of Aranjuez in Spain. Villegas, a past winner of the Andres Segovia Award as well as the first winner of the Christopher Parkening Guitar Competition, returns to DeVos Hall, two years after his Grand Rapids Symphony debut in January 2016. “He is an incredible Spanish guitarist,” said Lehninger, who worked with Villegas last year in North Carolina. Composed in 1939 and premiered the following year, Concierto de Aranjuez includes one of the most hauntingly beautiful English horn solos in the symphonic repertoire. It was inspired by the gardens at the Palacio Real de Aranjuez, the spring resort built by King Philip II in the latter half of the 16th century in the town of Aranjuez, 30 miles south of Madrid. The music transports audiences to another time and place.